Decoration is a one-stop professional decoration platform. Our aim is to find the right decoration company for every customer who comes to our platform. We have more than 100 decoration companies and teachers who cooperate with the decoration. We pay more attention to the quantity. What is more important is that we attach great importance to the quality of our services. Each customer is followed up by a professional account manager for one-on-one follow-up. A customer is satisfied with the service. The decoration is committed to providing a fair, just and open decoration platform for the people of Hong Kong. Under the current decoration, the situation of outsourcing is quite serious. The decoration project generally has two judgments, even three sentences, which makes the customer spend a lot of unnecessary expenses. Decoration is easy to hope that every minute and every amount spent by each customer can fall on their own renovation projects. Decoration is easy to serve the society, we provide free decoration consulting services, customers can contact the decoration and easy to inquire about any renovation issues, no charge. Customers can also consult the contents of the service order, we will provide you with professional advice. 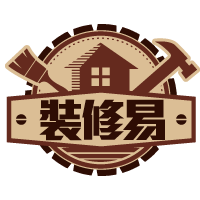 The company’s decoration company/master information is collected and updated daily according to the type of work, area, and other items. We have a strict auditing system for the company/masters. All the cooperative companies and masters have many years of experience and relevant licenses to ensure their service quality. At present, we have joined the scoring system to enhance the credibility of the master’s quality. You can also rate the master after the service is completed. 1. Initial consultation: Renovation will have a colleague to contact you, and you will discuss your renovation project and provide you with professional advice. You can also make an appointment with your colleague to make an initial visit. 2. Decoration suggestions and suggestions: After preliminary negotiation or on-site inspection, the professional account manager will learn about your requirements and expectations for the entire renovation project, and provide suggestions for renovation works. You can also contact the professional account manager at any time. communication. 3. Find a suitable engineering company: I will find an experienced decoration engineering company that can meet your expectations in terms of time and resources. 4. 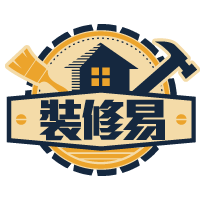 Home reclamation: If you are satisfied with the initial quotation, I will arrange for the decoration company master to come back to the door. Master will confirm with you other details, additions, subtractions, changes and engineering arrangements. 5. Confirm the quotation: After the revival, I will provide you with the final quotation for confirmation. 6. Arrange to sign the contract: I will arrange for you to sign a formal engineering contract with the decoration company. 7. Professional account manager follow-up: From the quotation to the completion of the project, the whole process is followed up by the professional manager of the decoration and easy to coordinate the communication and other matters between the customer and the decoration company. Renovation is a two-way decoration service platform website. Users are divided into “general users” (demand side) and “cooperative decoration team” (provider). Public housing: The price is pre-requisite, and you can choose the decoration team that specializes in the renovation of public housing units. Home Ownership: Cost-effective, find the highest quality renovation team on your budget. Private building: Provide customers with different styles for reference, in order to find the ideal decoration design for customers. Business users: Tailor-made decoration services for business users.